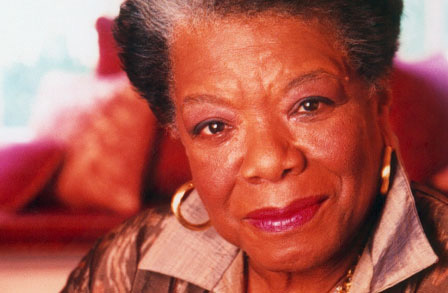 God Took his Rainbow Dr. Maya Angelou to the Clouds. En route taking my class on a field trip just this past Wednesday, I received some very heart breaking news. Trying to keep my emotions together in front of my students, I could hardly believe what I had just heard. Marguerite Annie Johnson; known to the world as Maya Angelou had passed away at the age of 86. Turning my head discreetly to wipe the tears from my eyes during the bus ride, I instantly smiled due to one of my personal historical moments in time. In August of 2013, Dr. Angelou served as a motivational speaker for the teachers employed with the Detroit Public School District. Applauding upon her arrival, she singed to us the song titled, “God put a Rainbow in the Clouds.” Her speech indeed encouraged us to start the school year off on the right track. Any teacher this day feeling like a “nobody” definitely felt proud about their profession after her speech. Educators feeling weary, overworked, or defeated after hearing her talk to us left the Detroit Renaissance Center feeling optimistic and full of hope. Just the sound of her voice had the power to calm any storm. The meaning and message behind her powerful words could definitely make the sun come out and shine once again. This day in August was indeed for me and many others a life changing moment. Although she is no longer with us, her accomplishments, poetry, amazing deeds, and guiding light will remain with us forever. On the twenty-eighth day of May this year of 2014, God took his rainbow to the clouds and she will be so greatly missed on this planet. For most educators residing in North America, the 2014 school year is about to end. Often, this time of the year brings about transformation and not so good changes with students. For some reason or another, the upward fluctuation of their anxiety levels towards the end of the school year result to higher incidences of both physical and verbal confrontations. From the upbringing of a student in regards to their normalcy, to the overwhelming incidences of students exhibiting inappropriate behavior, the valid points that Fox addressed hit the nail directly with the hammer. Agreeing that today’s youth should have the opportunity to address their issues and concerns or be trained appropriately to do so, what stuck out the most during the twenty-two minute interview with her was the one simple suggestion she provided on breathing. Her reasoning behind the suggested tip statistically states that taking five minutes or more per day to breathe prior to starting your day results to one reacting in a calmer fashion. Hello everyone. It’s your favorite tween/teen author and educator here today to share with you some pointers on identifying a youngster being bullied. Parents back to school time is just around the corner and here are some definite signs to look for. Pretending to be ill. Yes youngsters will try to run this one on us from time to time however, kids who are being bullied fake ill to avoid going to school to keep from being harassed by their in-school predators. A change in attitude. If your youngster is normally a happy-go-lucky individual who’s made a drastic switched to being a mean kid no one wants to be around or bothered with, this is also a another sign. The reason behind your youngsters attitude change most likely has to do with the fact that they are being bullied and they have no idea of how to address it with you. Signs of withdrawal. Your child who use to want to be around everyone who loved being involved in extra curricular activities has totally shut down and now lacks the desire to do anything. This is the result of a youngster ashamed of the fact that they have become a victim of prey and sense of hopelessness has set in. I forewarn all parents who take notice of this occurring with their youngster to monitor them at a very close range. 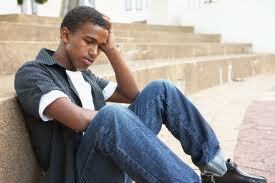 Signs of withdrawal can lead to depression. Parents back to school time should be an exciting fun time for all kids, however, if for some reason your child starts to display any of the indicators listed above, please talk to them and present the situation to your youngsters school administrator.